At Dale's Truck Parts, we strive to bring our customers the utmost satisfaction. We carry a large inventory of trucks and parts as well as retail and wholesale core parts. Dale's Truck Parts is a buyer of salvage trucks and diesel motors. 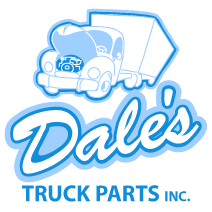 Dales Truck Parts, Inc.
SEARCH - Dales Truck Parts, Inc.